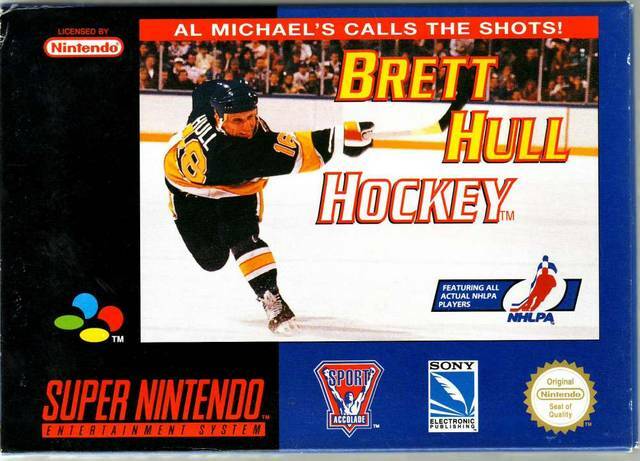 Brett Hull Hockey for Super Nintendo includes a full NHLPA license with more than 600 real NHL stars. With different game modes, you can play a season, half season, 11-game season, exhibition or playoffs. Enjoy commentary by Al Michaels.